Donald Eugene Poole, 56 of Tunnel Hill passed away at 4:42 AM on Tuesday, July 3, 2012 at his home. Funeral services are scheduled for Saturday, July 7, 2012 at 11:00 AM at Blue Funeral Home in Goreville with reverends Howard Strunk & Clark Madden officiating. Interment will follow in Bethlehem Cemetery in Tunnel Hill. A time of visitation will be held from 5:00 PM – 8:00 PM, Friday, July 6, 2012 at the funeral home in Goreville. 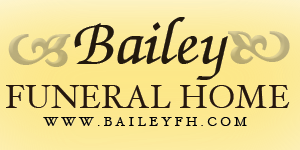 Memorial donations are suggested to Bethlehem Church in Tunnel Hill; envelopes will be available at the funeral home or may be sent c/o Blue Funeral Home, PO Box 411, Marion, IL 62959. Donald Eugene was born in Union County on Sunday, June 24, 1956 to Manford Eugene & Rosanna (Schierbaum) Poole. He married Rose Marie Piipke at Bethlehem Church on Friday, November 7, 2003. Donnie is survived by his mother, Rosanna; wife, Rose Marie; children, Christy Turner & fiancée Randy Haack, Anna Abran, Daniel Poole, Timothy Morrison and Jennifer Karrenbrook; grandchildren, Mickela Turner, Myra Turner, Marley Bender, Emily Poole, Christopher Poole, Daniel D. Poole, Keith Haack, Brandelynn Poole, Kaleb Karrenbrock, Gracie Karrenbrock, Alyvia Kerrenbrock, Jacob Morrison, Skyler Morrison, Destiny Morrison, Jack Morrison, Sonya Rambeau and Alex Pulluim; two great-grandchildren on the way; siblings, Frankie & Penny Poole, Robert & Kathy Poole and Jenny & Jerrod Walker; special friend, Ron Doerge and several special aunts, uncle, nieces, nephews and cousins. Mr. Poole was preceded in death by his father, Manford and niece, Lillian Walker.